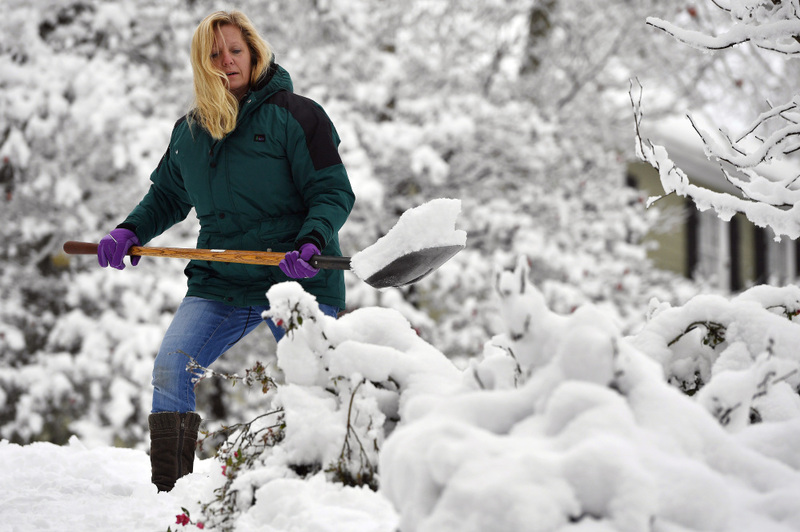 Southerners find no cold comfort in heavy snow, power outages and dangerous driving. ATLANTA — An unusually heavy December snowfall across much of the Deep South tapered off Saturday, icy road conditions were still a threat and thousands remained without electricity throughout the region. Forecasters warned that moisture on the roadways could freeze overnight and cause black ice to form. 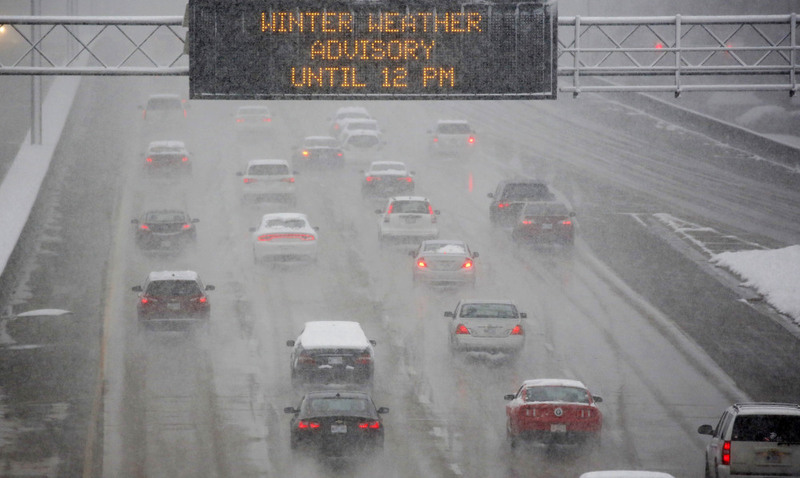 The National Weather Service said that even after snow flurries ended by midday, areas including metro Atlanta would still be cold enough for transparent layers of thin ice to form on bridges and other elevated roadways. Preliminary reports to the weather service showed up to 10 inches of snowfall in northwest Georgia, with 7 inches of accumulation in parts of metro Atlanta. Another 10 inches of snow was reported in Anniston, Alabama, while up to 7 inches were reported in Mississippi. Rare flurries were even reported in New Orleans. But the snow wasn’t expected to outlast the weekend. King said warming temperatures and sunny skies should melt most of it in time for shivering Southerners to return to work and school Monday. At the Hartsfield-Jackson Atlanta International Airport, which holds the world record for annual number of passengers, spokesman Reese McCranie said over 400 flights were cancelled Saturday. That’s after nearly 1,200 cancellations Friday. Not everyone was anxious to flee. Members of a central Florida family found their way to Atlanta specifically to witness the white drifts. “It’s beautiful,” said Tim Moss, while his two sons and wife threw snowballs at each other near a McDonald’s parking lot early Saturday. He said the family – including his mother – made a spontaneous decision late Friday to leave 80-degree weather in Florida and drive seven hours to see snow for the first time. The snowstorms knocked out electricity to thousands across the South. More than 334,000 homes and businesses were still without electricity Saturday afternoon in Georgia, Alabama, Mississippi and Louisiana. About 235,000 of those still in the dark were in Georgia. Southern Pine Electric Co-operative had more than 10,500 customers without power Saturday in south Mississippi. The co-op had more than twice that many outages at the storm’s peak, utility spokesman Brock Williamson said. He said getting everyone’s electricity restored could take days. “This may be the first time we’ve ever dealt with a winter storm that’s created so many outages,” he said. In Atlanta, a fallen power line was blamed for electrocuting a man Friday. Bystanders tried to warn the man before he walked into the dangling live wire, Atlanta police Sgt. John Chafee said Saturday. He said it was unclear if the wire was downed because of the icy weather. Snow had moved further east by Saturday, dumping up to 14 inches in parts of North Carolina before heading into the Mid-Atlantic. Virginia State Police reported hundreds of crashes blamed on icy weather.